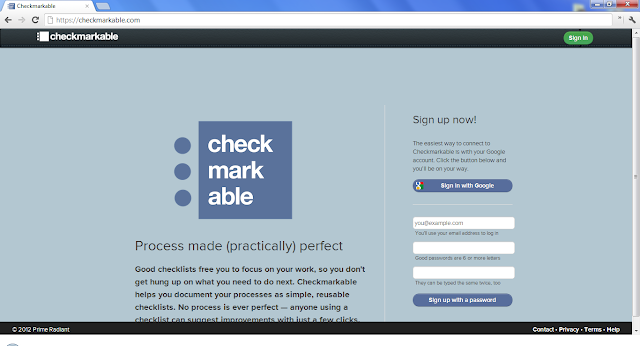 Checkmarkable's platform makes it simple to create an everyday check list for your to-do items or even a grocery list. It is also perfectly suited as a step by step process checklist to help you perform a sales call, set up a system processing guide, or record what you planned to do and didn't do during an outing. Any list can be tagged with creative common attributes and easily shared. Join them on Twitter.